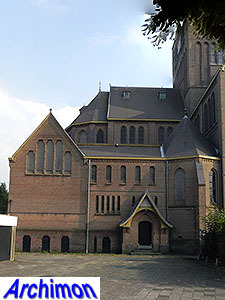 The catholic community of Ginneken lost its church to the protestant minority after the Reformation. 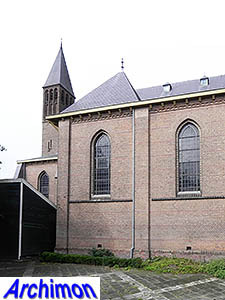 Despite various attempts at restitution, beginning in 1798 and ending in 1834, the old church was never returned. 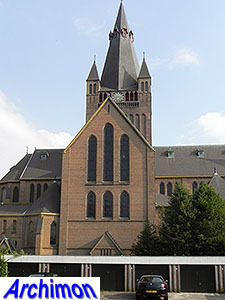 Eventually a new catholic church was built, which served until it was replaced in 1902. 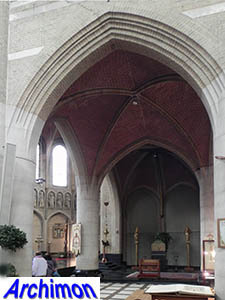 By that time it had become too small, just like the old church would have been if it had been restituted. 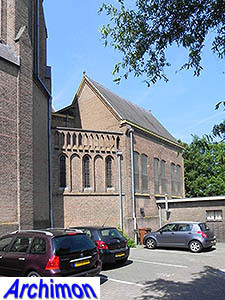 Ginneken was a growing village and so was its parish. 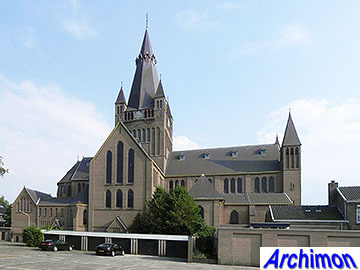 Architects Jos. 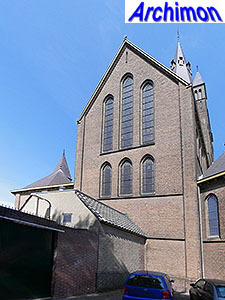 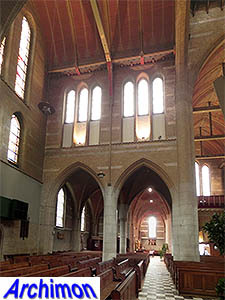 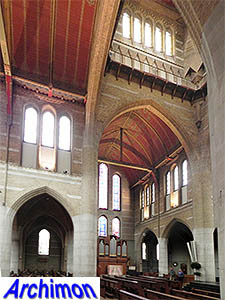 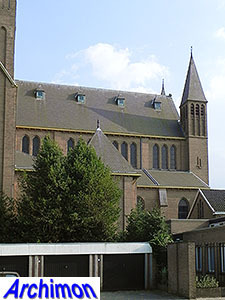 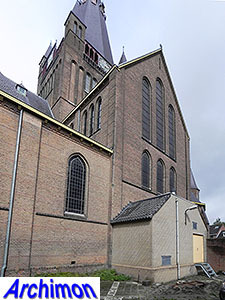 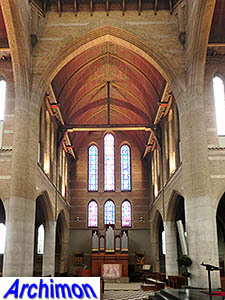 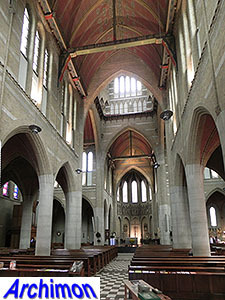 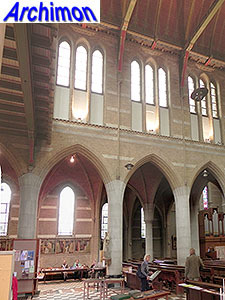 Cuypers and Jan Stuyt were commissioned to design the new church, but although the design is usually attributed to both architects, it is unclear what each of the architects contributed to the design. 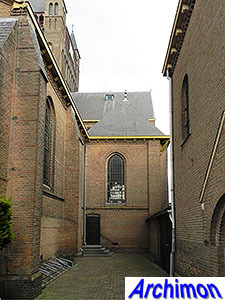 In contemporary newspapers reporting about the laying of the first stone only Cuypers was mentioned as the architect while Stuyt was not present at the occassion. 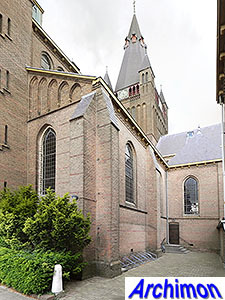 Most likely this church was mostly the work of Cuypers. 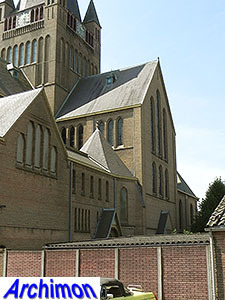 The church is quite big for a village church. 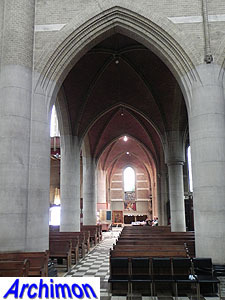 It has a three-aisled, partly five-aisled nave and a transept. 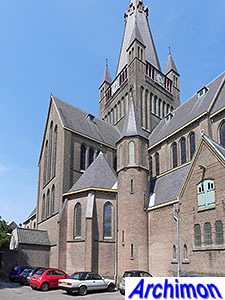 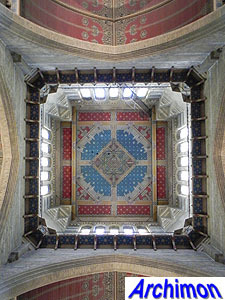 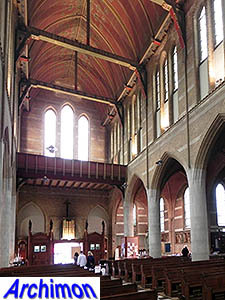 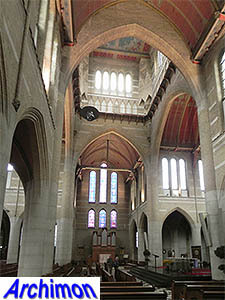 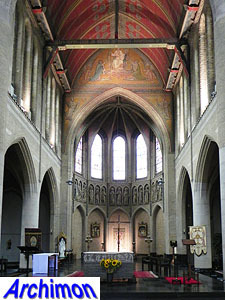 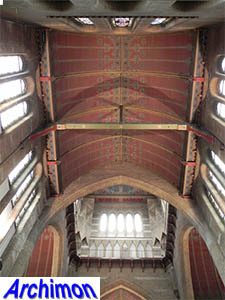 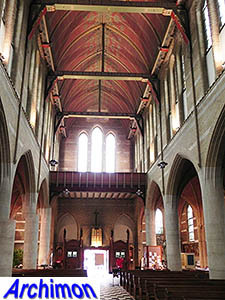 The general style is neo-Gothic, but mixed with neo-Romanesque details. 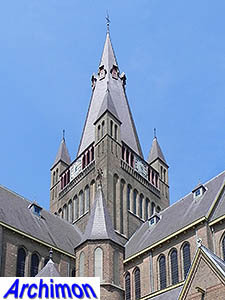 The square crossing-tower with corner turrets and polygonal spire is reminiscent of that of Jos. 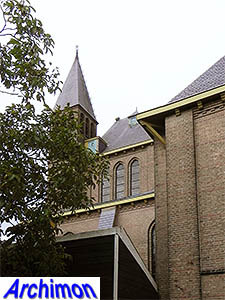 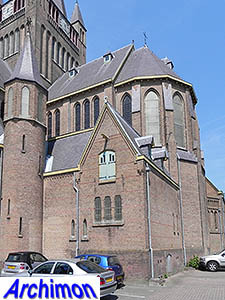 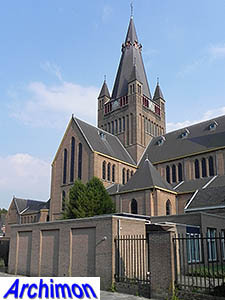 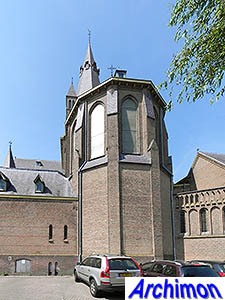 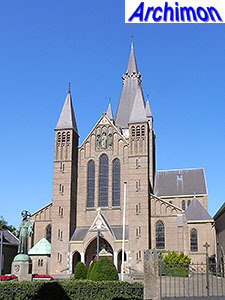 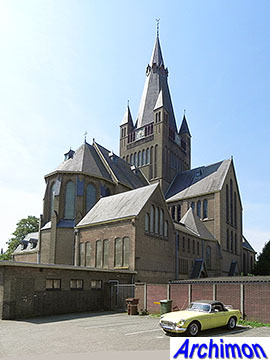 Cuypers' first church, the St. Urbanus in Nes aan de Amstel of 1889-1891 and to that of the St. Petrus' Banden in Oisterwijk of 1894-1897, designed by Cuypers' father but with some contributions by himself.